At least seven people were killed and five wounded in an overnight airstrike targeting Iranian weapons stores in Syria that was attributed to Israel, a monitoring group said Thursday. According to the Syrian Observatory for Human Rights, all of the fatalities were members of the Iranian forces in Syria or militias linked to Tehran. 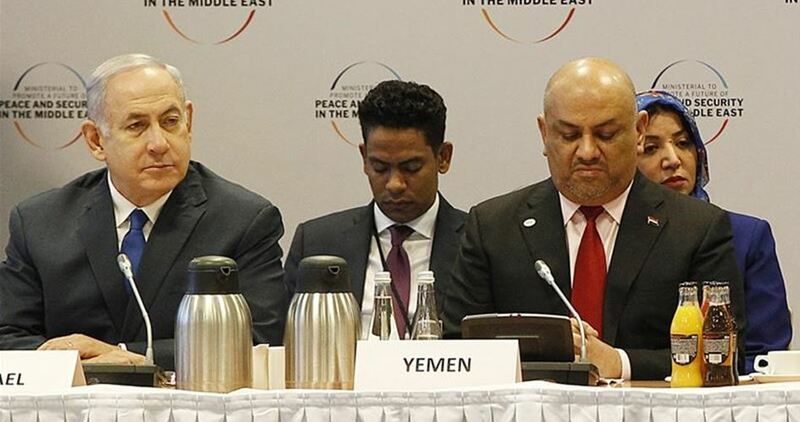 Acting Foreign Minister Yisrael Katz was reticent Thursday morning about directly acknowledging that Israel was behind the attack. 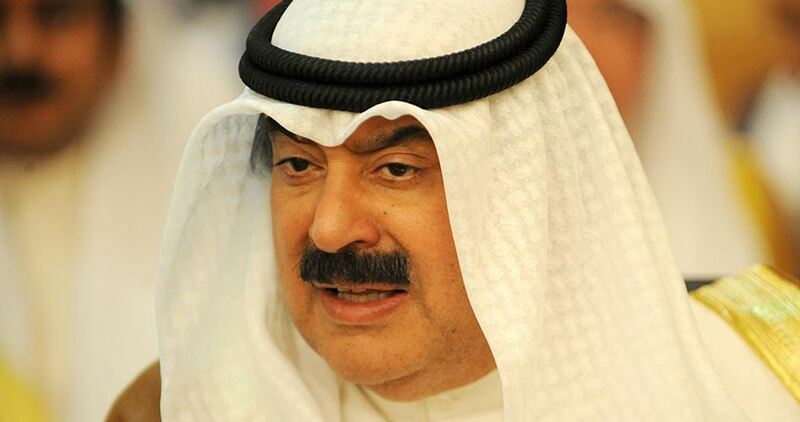 "According to foreign sources, the air force attacked Iranian troops in Syria," Katz told Ynet. "As far as Iran knows, it was us. It was an extremely challenging action from a military perspective." In the wake of the airstrike, Israel decided Thursday morning to close its air space over the Golan Heights to all flights over 5,000 feet. In January, Israel's Iron Dome missile defense system intercepted a rocket fired from Syria at the Golan Heights, close to the Hermon ski resort. The strike was later attributed to Iranian troops near the Israeli border. Israel, which considers Iran its biggest threat, has repeatedly attacked Iranian targets in Syria and those of allied militia, including Hezbollah, an Iranian proxy based in Lebanon. The Syrian military said Wednesday night that the air raids on the industrial zone in the northern city of Aleppo were carried out by Israel, and caused damage only to materials, while opposition sources said the strikes hit Iranian ammunitions stores and a military airport used by Tehran's forces. The Israeli occupation forces at daybreak Monday said an overnight operation targeted the Quds Force of the Iranian Revolutionary Guards, as well as Syrian air defenses. 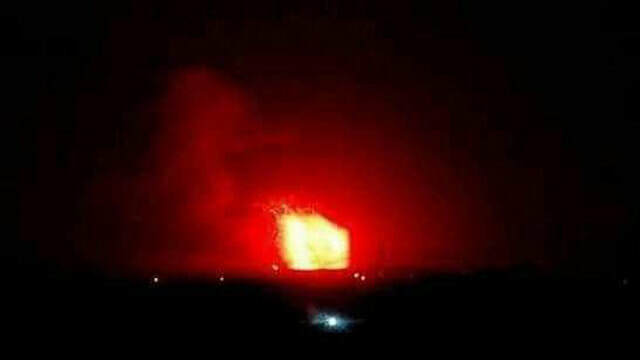 Syrian media said most of the Israeli missiles had been shot down. Israel claimed it acted after the Quds Forces launched a rocket from Syria over the Golan Heights on Sunday. The Israeli military also said that "dozens of Syrian surface-to-air missiles were launched, despite clear warnings to avoid such fire". 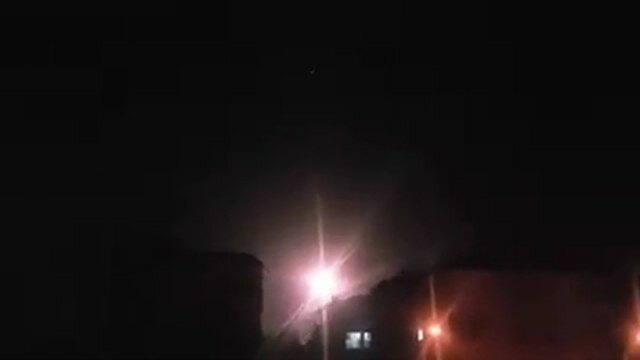 Syria's state-run Sana news agency quoted a military source as saying that the country's air defenses had shot down most of "hostile missiles". Russia's defense control centre was quoted by Interfax news agency as saying that Syrian military air defenses destroyed more than 30 Israeli cruise missiles and guided bombs during the raids. "We have a set policy, to target the Iranian entrenchment in Syria, and to harm whoever tried to harm us," he said. 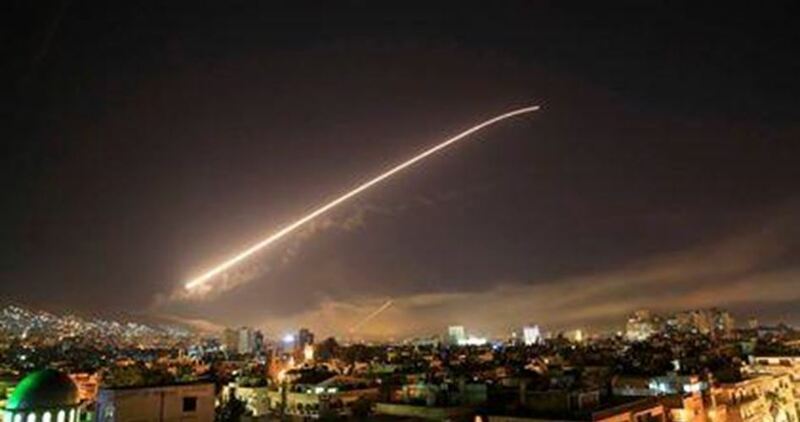 The Syrian state news agency said Israeli warplanes fired a number of missiles toward the Damascus area Friday, triggering Syrian air defenses that shot down most of them. “The results of the aggression so far were limited to a strike on one of the warehouses at Damascus airport,” the SANA news agency cited a military source. The attack took place at 11:15 p.m. local time, SANA said, adding that the fighter jets attacked from the Galilee in northern Israel. It also quoted a transport ministry source as saying that the airport was running normally. 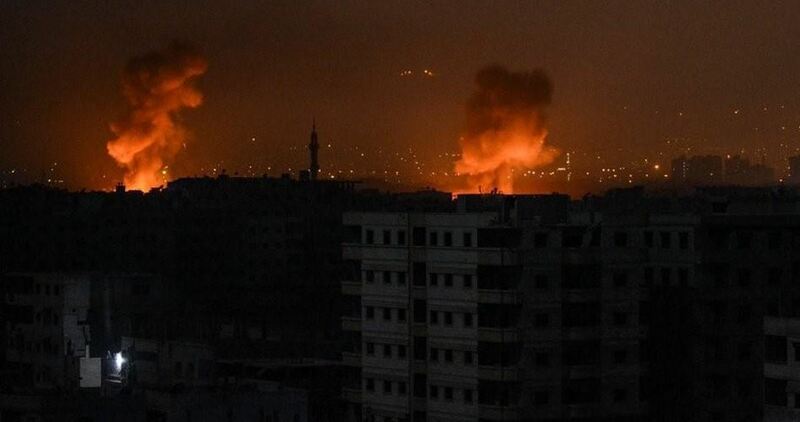 Hezbollah's al-Manar TV said the attack was broader than usual, targeting areas ranging from the eastern Damascus suburb of Dmeir to Kiswa south of the capital all the way to the village of Dimas in the west near the Lebanon border. 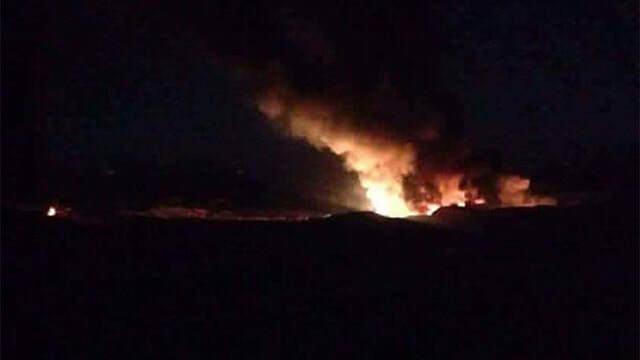 For its part, the Britain-based Syrian Observatory for Human Rights said the airstrikes targeted an area near the airport while others hit the area of Kiswa, which is home to positions and storage sites for Iranian and Hezbollah forces allied with Syria's government. There was no immediate word from Israel, which rarely comments on such attacks. Israel is widely believed to have been behind a series of airstrikes in Syria that have mainly targeted Iranian and Hezbollah forces and military sites.